There are times when divorce mediation isn’t the correct course of action and you must hire a divorce attorney to argue your case before a judge. You just cannot agree. The divorce litigation process involves having a Judge make the final decision about your children, your assets, and your family support. Steinberg Law Group is here to handle these Divorce Law situations for you – we will limit conflict, protect you and protect your interests. Every divorce is unique and deserves to be handled with care, sensitivity, and a clear understanding of Nevada law while fighting hard to insure that you receive the reward for which you are entitled. Our divorce lawyers are among the best in the business and can fight hard for your cause. Jurisdiction : It is important to determine if Nevada has jurisdiction. If one party to the divorce resided in Las Vegas or Nevada during the six (6) weeks prior to the filing, there is personal jurisdiction, but that doesn’t necessarily mean that Nevada is the proper state, particularly if the other party resides in another state. 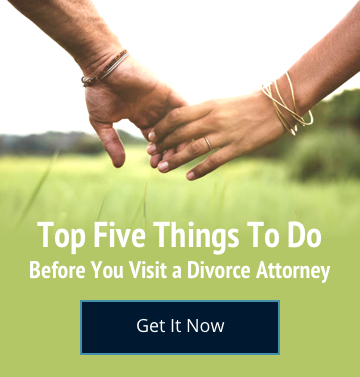 These issues can get very complicated and it is best to consult with knowledgeable divorce attorneys prior to filing actions in order to avoid serious complications that might hurt your case. Division of property : Nevada, and therefore Las Vegas, is a community property state. This means that all marital assets and debts are to be divided equally, but may be divided equitably, depending on your particular situation. Divorce Attorney Fees : If there is a large discrepancy in the parties income, the party with the lower income may apply for divorce attorney fees. However, the courts are increasingly not awarding them unless the situation demands such award. In the case of an uncontested divorce action, our divorce lawyers can represent one party and file a joint petition. A joint petition resolves the entire case without requiring a court appearance. On the other hand, if the parties wish to be involved in a settlement process but it is uncertain whether the case will actually settle, then our office would file a complaint, an answer in proper person, a decree of divorce and a request for a summary disposition so that the matter can be resolved outside of court. We are very skilled with uncontested divorces, helping people reach a fair and amicable solution without going to court. Although there are paralegal services that can provide uncontested divorce filings at a lower cost, when you retain our firm your case will be handled by a divorce attorney, from the settlement to the finalization of paperwork. Our advantage? 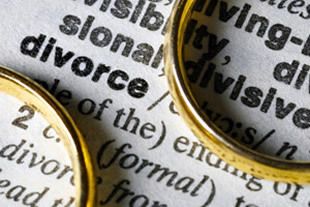 We are experienced in divorce law, and because of this experience we know which issues have a potential for divorce litigation in the future and we are here to assure that your case is handled correctly. We design your decree with provisions that equally protect both parties, which in turn lessens the likelihood of future (costly) litigation. Without the thorough review of your divorce settlement agreement by a skilled divorce attorney, you may sacrifice your own best interests, intentionally or unintentionally. Benefit from our many years of experience the Steinberg Law Group has to offer. Call us to schedule your consultation today.